OBJECTIVES: Identify considerations for choosing the right journal. 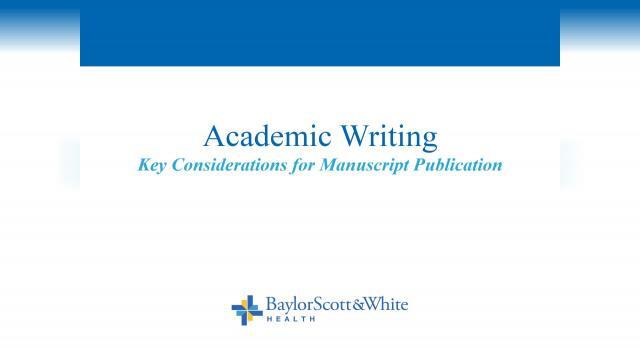 Identify how to write for the selected journal and its importance. Identify how to determine authorship credit and order based on the International Committee of Medical Journal Editors. Demonstrate how to submit to the selected journal. Identify the overall peer-review process so that authors can understand what reviewers look for to help strengthen the manuscript before submission.